Let’s start by opening the picture that we want to add a watermark to. 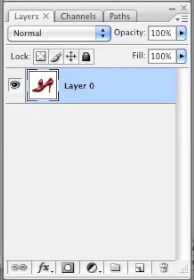 In the layer window, you will want to make sure that your layer is unlocked. Next you will want to create a new layer. 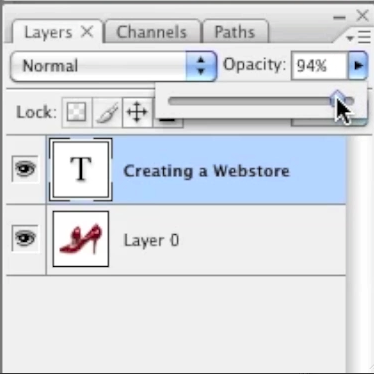 A new layer can be created using the this icon: which is locate in the layers window. If this window is missing, simply go to the Photoshop toolbar at the top, hover over “Window” and make sure “Layers” is selected. 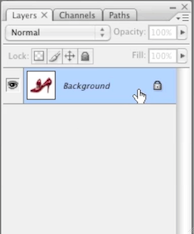 Now place your mouse over the image that you want to add text to, click on it and type your text. Note that you can adjust the position, size of the text, color, font type, style etc. I typically shoot for 50% and lower in order to keep my main image from looking distorted. To use a logo as a watermark, simply open the image that you’d like to add to your main image and unlock it. If the background of your logo isn’t transparent, you’d want to remove the background before proceeding. Now simply adjust the opacity of that layer the same way that we adjusted the opacity of our text. Sometimes a colorful logo can be a bit much or clash with your main image. If this is the case, you can covert the logo to grayscale prior to adding it to your main image. This can be done by selecting the logo in the layer window and going to “Image > Mode > Grayscale” in the Photoshop toolbar at the top. After converting the logo to grayscale, drag it to the main image as we did earlier with our unmodified logo. While the method of watermarking images in newer versions of Photoshop remains the same, I figured I’d shoot a video which shows you how it all looks in newer versions such as Photoshop CC. In this video I only show you how to add text to your image.